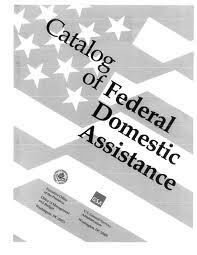 The Catalog of Federal Domestic Assistance is an online database of Federal grants across a wide array of initiatives. For women in business who are looking for funding, this U.S. Government web site may provide valuable information on where to locate grant funds. The online catalog includes listings for Federal programs available to State and local governments, Indian tribal governments, domestic public, quasi- public, and private profit and nonprofit organizations and institutions, and special groups of individuals such as women and minorities. There are 2,207 programs available through the Federal Departments of Health and Human Services, Agriculture, Interior, Education, and Housing and Urban Development (HUD). Search criteria enables small business owners to search by program title, by agency, or by type. Some examples include the Women and Minorities in Science, Technology, Engineering, and Mathematics Fields STEM program offered by the Department of Agriculture. Grants are offered for project costs necessary to conduct research and increase participation by women and underrepresented minorities from rural areas in the fields of science, technology, engineering and mathematics. The web site includes information on eligibility requirements, application process, deadlines, and contact information. In addition, it offers helpful information on how to develop and write a winning grant proposal.